Working with Lattice FPGAs recently, I had a need to program one but couldn’t find my ‘proper’ (Chinese clone, bought from eBay) programming adapter. When I started the Diamond Programmer software, though, it claimed it could see a USB programming adapter. It turned out that I’d left an FTDI ‘FT2232H Mini Module‘ attached to the PC. I use the module for all sorts of little debugging exercises: most often as a dual serial port for serial port debugging, but it also works for programming Parallax Propeller microcontrollers. As luck would have it, the Diamond software recognises the unadulterated FT2232H as a legitimate USB programmer, and pressing the ‘Detect Cable’ button finds it. 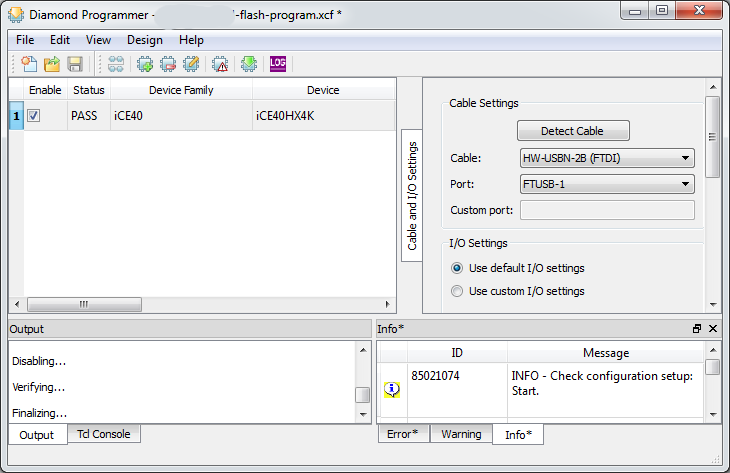 Note that if you plug in a new USB device, the Diamond Programmer software needs restarting before it can see it. The FT2232H has two ports, A and B, and these appear as ports FTUSB-0 and FTUSB-1 in the Diamond software. All that remained was to figure out the wiring. 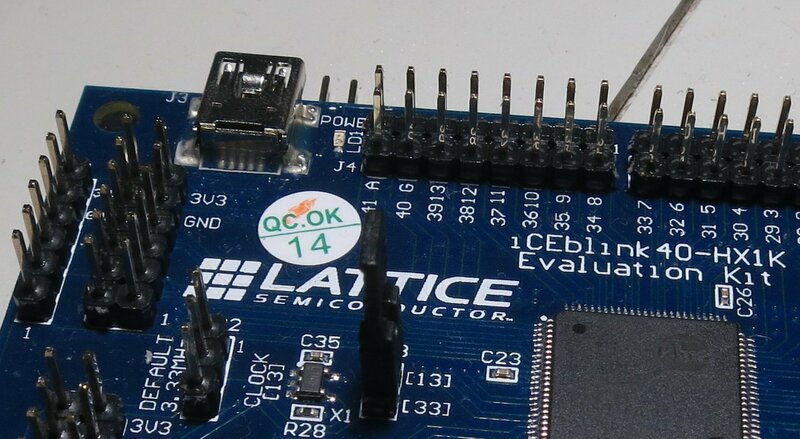 Fortunately, there are a lot of clues in the schematics of various Lattice evaluation boards, particularly the MachXO2 Pico Board and the iCE40 Ultra Breakout Board. Here’s the wiring, both for SPI and JTAG, referred to the pins on the Mini Module. I chose to use port B since it was more convenient for my prototype board. Translating the wiring to port A is left as an exercise for the reader. It works well, and does exactly what it should. 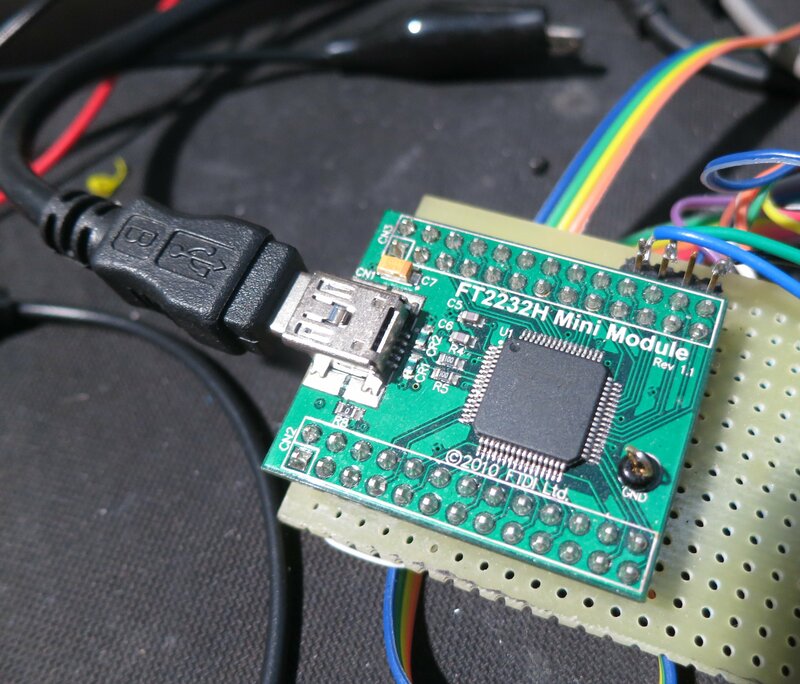 This entry was posted in Projects and tagged electronics, embedded, FPGA, JTAG, programmable logic on September 3, 2015 by martinjonestechnology. 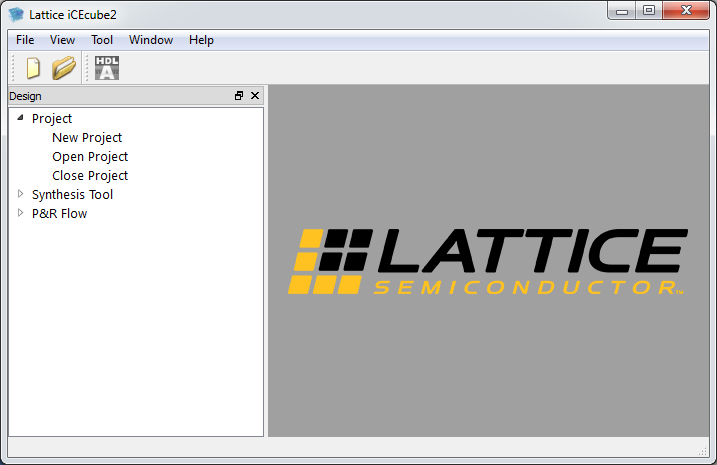 I’ve just been doing some work with the iCE40 series of FPGAs from Lattice Semiconductor. They’re small FPGAs, with up to 7680 gates, and they’re very low-power, which is nice for mobile applications. From what I can gather, Lattice acquired the designs when they bought a company called SiliconBlue in 2011. I’ve been used to using the Lattice Diamond software with their other chips, but the iCE40 chips aren’t supported by Diamond. Instead, they get their own software called iCEcube2. It’s a bit of a pain to use and not very well documented. I’ve just been through the process of starting a project and getting a very basic design working, and I’m writing about it here in case someone else finds it useful. The iCEcube2 software looks convincingly like an IDE, but it isn’t, really. It doesn’t even seem to have a way of creating new source code files, and the order in which some things have to be done is not at all obvious. I think iCEcube2 is really designed for taking existing designs and implementing them on the Lattice iCE40 chips. While the software is a complete dog’s breakfast, it does have the key advantage of being free. You do need to create a node-locked licence for it using their licencing page. folder <project>_Implmnt, containing folder sbt, containing folders constraint, log and outputs. All are empty apart from iceCube0.log in log folder. At this point I’d expect to be able to allocate signal names (d, q and qn, in this case) to pins on the device package. But you can’t do that yet in the wonderful world of iCEcube2. All the buttons on the toolbar are greyed out. The way to proceed is to double click ‘Run Synplify Pro Synthesis’. Hopefully your code will compile without errors, and lots of files get created. Two new files appear in the project under ‘P&R Flow’: <project>.edf and <project>.scf. Now double-click ‘Run P&R’. The design will get placed and routed, and a bitmap gets generated for programming the chip. At this point the toolbar buttons for timing constraints, pin constraints, floor planner, package view, power estimator and timing analysis become active. Hurrah! Now you can change your pin constraints. Click on ‘Pin Constraints Editor’, the fourth icon from the left. Put in the pin locations for the signals you want. Make sure you click the ‘locked’ checkboxes on the left hand side, otherwise the place and route process is likely to move them. Press ctrl-S to save. The constraints get saved in <project>_Implmnt\sbt\constraint\<top design file>_pcf_sbt.pcf. You will then get asked to add the file to the project. Say yes. If you’re using source control, it’s a good idea to add this file to it. I’m not so sure about all the other junk that iCEcube generates. Now double-click ‘Run P&R’ again and the new bitmap file will be generated, using your pin constraints. Programming an actual chip (or at least its SPI Flash ROM) needs the Diamond Programming tool, which comes as part of the Lattice Diamond software and *not* as part of iCEcube2. That’s just another couple of gigabytes to download, and another licence (free) to acquire, so it’s a pain, but it does work. This entry was posted in Projects and tagged electronics, FPGA, programmable logic, VHDL on August 26, 2015 by martinjonestechnology.